Nashville, Knoxville and Memphis are three major Tennessee metropolitan areas that provide a wide selection of culinary schools and food service degree programs for students seeking to make their mark in the industry. The rich tradition of food appreciation that defines Tennessee culture is a natural sidebar to a comprehensive culinary education. Many areas of the state feature wildly popular tourist attractions, including adventure parks, theme parks, ski resorts, and music Meccas. Food goes hand-in-hand with tourism, so you can bet that the food scene eagerly embraces hungry visitors who have come to soak up the flavors of Tennessee. The sum of it all for would-be chefs and emerging hospitality professionals is a Tennessee that not only offers superlative classroom credentials, but also exposes creative culinary minds to a wealth of food culture that is an invaluable part of forming a sound food point of view. Where there is tourism and entertainment there is usually a vibrant culinary scene. For students, a culinary education is about banking as many culinary exposures as possible. Your schools teaching kitchen is a great place to learn the fundamentals like knife handling and sanitation practices, but engaging with the local food scene is where you will witness the true food culture of Tennessee. In Memphis and Nashville, a brisk tourist trade influences the culinary scene by elevating the cuisine beyond the expected southern fare. Ribs, BBQ and the world’s tastiest fried chicken are staples of a Tennessee diet, but subtle and creative food exploration is also underway in the metropolitan areas of the state. In fact these cities boast some of the best chefs in the country, so make it your business to seek out the top rated restaurants and chefs as a required addition to your academic studies. Regional food festivals also provide excellent venues to rub elbows with noted local food professionals. Attending festivals and food related events is a great way to forge industry relationships and carve out your own local culinary niche. Participating is also an option for students since many foodie gatherings have come to include some type of chef competition, in the spirit of The Food Network’s Iron Chef America. Guest chefs depend on the exposure they get at mass festivals to keep their dining-room seats throughout the year, so they are often eager to amp up the quality of their offerings each year. As a result, the culinary inspiration a student might find at a festival is driven by the latest and greatest local food trends. Iron Fork, Nashville – This Top Chef style competition is a coveted showcase for local chefs to exhibit their culinary accomplishments and have them evaluated by their peers. 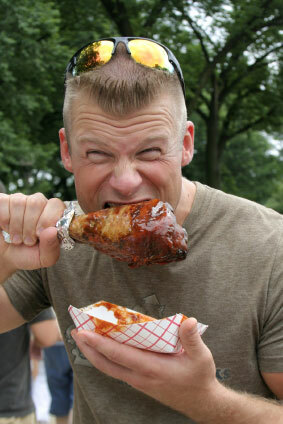 It’s mostly about fun, but the competitors take the designation of Iron Fork winner seriously. Memphis in May World Championship Barbecue Cooking Contest, Memphis – Regional barbecue has its own spin depending on the locality, and Memphis proudly embraces her own unique barbecue tradition. This contest is a tasting opportunity that showcases wet or dry-rub barbecue in its veritable birthplace. Top authorities on the subject are engaged as guest judges, but only after completing a judging seminar that prepares them for the event. Wine Over Water, Chattanooga – This fall festival is centered on tasting wine and raising money for historical preservation in Chattanooga. Local chefs offer dishes that compliment the wine tasting menu. Students are served here by an opportunity to learn about wine from the chefs who embrace it. The school you choose should provide you with the tools you’ll need to compete in the industry. By refining your desired job pool, you can place yourself on the particular educational path that supports your goals. If you are an entrepreneur who wishes to engage in an owner/operator culinary role, it is important to seek out training that goes beyond mastering kitchen skills. Management and budget considerations will drive your restaurant’s success, so a liberal dose of business schooling should be a part of your overall curriculum. Internships, externships and/or apprenticeships are proper academic vehicles for work/study AND for making valuable industry connections. In some cases your internship could lead directly to a job after school. Well-equipped student/teaching kitchens ensure you are completely fit to navigate any professional restaurant kitchen. Professional chef/instructors provide current industry best practices as well as expert guidance. Career guidance and job placement are important services that ensure your school is committed to your future success. Student-run restaurants, especially high-volume, give you excellent work/learning opportunities while you serve a discerning public clientele. Salaries for chefs across Tennessee vary based on professional experience, but other key influences include your education, location, and type of dining establishment. Expect larger metro areas to offer better salaries as well as more job opportunities. The good news for graduates is that many chef and hospitality jobs are reserved for candidates who have culinary/hospitality degrees. So choose your school with career and resume in mind, and make sure your level of achievement illustrates your commitment to the craft. 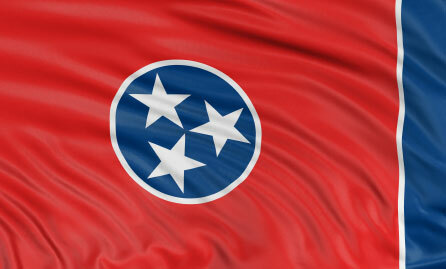 Average salaries for sous chefs in Nashville and Knoxville, respectively, are $37,000 and $45,000. The International Culinary Schools at the Art Institute of Nashville is one of 30+ AI culinary programs across the U.S. This very popular culinary school consistently turns out quality chefs and hospitality managers. Bachelor’s in culinary arts is a course of study that prepares students for entry-level management jobs in the hospitality industry. In addition to mastering kitchen skills, degree candidates will be exposed to all aspects of the business management side of the Hospitality Industry. The school boasts a 94% job placement record for graduates of the bachelor’s program. Degree programs in Nashville: Bachelors Culinary Arts Management, Associates Culinary Arts, Culinary Arts/Baking and Pastry Diploma, and Culinary Arts/Skills Diploma. Nashville State Community College – Nashville – Graduates of the Associate’s of Applied Science Degree program display competency in food production and cooking methods that includes baking and pastry. Culinary terms and theory are taught alongside practical skills for real-life success. Nutrition and sanitation are key components of the curriculum, which also covers management areas like food cost and inventory control. Southwest Tennessee Community College – Memphis - The broad hospitality education available here includes specific courses of study that emphasize your chosen discipline, whether it be Culinary Arts, Food and Beverage Management or Hotel/Motel Management. Each program accounts for basic skills like math, accounting, and English, while also providing the skills required to earn an Associate’s of Applied Science in a particular discipline. Walters State Community College – Morristown – Hotel and restaurant management programs are offered alongside a Culinary Arts Associate’s degree curriculum that emphasizes kitchen skills and food knowledge.